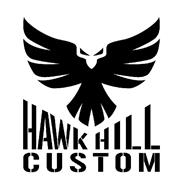 Hawk Hill Barrels are single point cut rifled 4 groove barrels made in Verona, VA. Shawn Burkholder is making match winning barrels for F Class and Tactical match shooters. These barrels are extremely straight and very well made, you wont be dissapointed. Hawk Hill barrel info and contour chart can be found HERE.